Today is a holiday where I live and probably where you live too - President's Day in the U.S.A. and Family Day here in Ontario (the date differs from province to province here in Canada.) And if you're like me, you feel a holiday should be quiet and lazy and knitty and involve lots of cake! but mine isn't. I am typing this amid a shower of papers making puddles on my desk, all reminding me that I have to do many many things before everybody is back to work tomorrow. Mainly, picking appliances, which is terrifying. See this KitchenAid refrigerator? It is scaring me no end. Seriously: can a bottom mount freezer ever hold more moth-exposed yarn than a top mount?? Back in the dark ages when we bought our last major appliance, it was possible to get one that would last for many many years without breaking down, from a friendly store where sales advice was kind and supportive, deliveries were on time and included both installation and removal of the previous appliance, and after sales service was impeccable. Now, to judge by the product and store reviews I am frantically checking, it isn't. So you have to choose carefully, and that's SO not good for me. If I can choose impulsively I am fine, but if I have to think about it too much I overthink myself right into deep space and/or buy three to remove doubt. There is no middle ground in my brain. Also, appliances are expensive. The longer our home renovation goes on, the more I am dropping zeroes off the end of all the numbers for my own protection, but even that can't stop me from noticing that fifteen hundred dollars is a lot of money. And I'll be lucky to get one new appliance for that. I am pretty sure I need five. Or fifteen if I let myself think too much. There is no point in doing the math on how much yarn that would buy, because the more pressing consideration is how much knitting time I am squandering on appliance selection. I'm sure I could have knit at least one pair of socks in the time I've put in so far and I haven't even looked at the laundry room yet. All my dreams of domesticity are riding on this range. Doe is the most avid baker I know and she cooks real suppers every night too, not just something whipped together and easy to clean up after like I do. Basically, if you're on a diet, you do NOT want to go over to her place. I mean, she feels she's dropped the ball on Christmas baking if she only has four different varieties of squares and cookies to serve when friends and family drop by. But that's the kind of person you want to talk to when you're looking for a new range, right? Lynn has been helping me too as she works through choices on her own building project - she is pretty much the reason I have not been boring you with tile selection, though it's very very unlikely you will be spared forever. If you're grateful for the reprieve, you should totally thank Lynn. 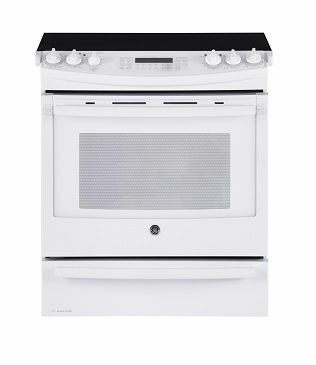 There is one appliance that's making my life easy, and it's this dishwasher from KitchenAid. Thank you, perfect dishwasher . I might name you, you are so perfect for us. What's a good butler's name? 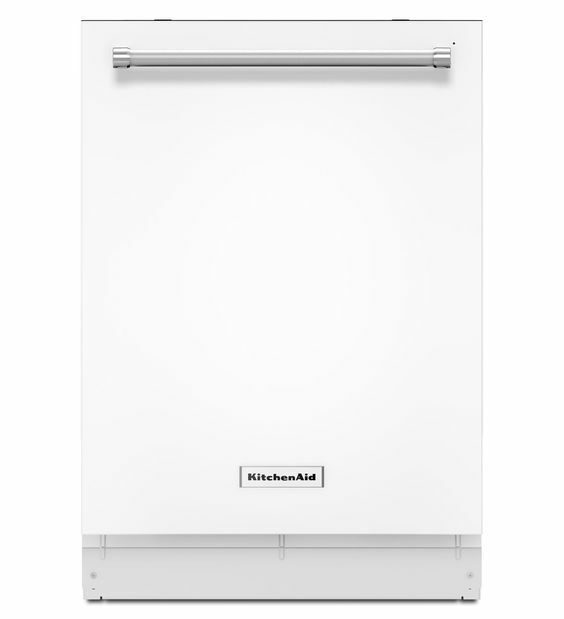 This dishwasher gets great reviews, it's quiet, and it has a third rack which I can't live without since I got used to it in my old noisy Miele that didn't really get the dishes clean (the GE that was in the condo when we got here does a great job, but it can't hold nearly as many dishes as we seem to need to load into it.) It has a heated dry function so I won't need to unload with a tea towel in my hand and it's got a bar across the front so I can put a pretty towel there for drying my hands after I've used the sink. Also I think it's quite pretty. Done and done and please remind me to avert my eyes from the price tag until it's all over. But you know what a dishwasher is really? A dishwasher is THE LAST THING a kitchen designer is worried about. Dishwashers are all pretty much 24" wide and tuck under the counter. They don't do anything fussy that requires any finesse in the cabinetry department. So I could pick the dishwasher a couple of weeks before I want to wash my first dish by moving it off the counter into a tray, and I'd be fine. A range needs a little more consideration. The countertop supplier has to prepare the counter to fit it,and the cabinetry needs to accommodate subtle differences in dimension as well. So having an obvious choice there is kind of a kick in the knee, because that decision, I can still hold off on for a few weeks. What is really important is the refrigerator. A fridge usually has a cabinet over it, and that cabinet has to take the fridge dimensions into consideration. In our kitchen, the fridge dimensions are also going to determine the position of a door opening that currently does not exist because of me being slow and panicky, which is forcing Ray to go around our house the long way from the dining room to the kitchen every time he needs to do something in one space or the other. But a refrigerator is... well, it's big. Literally and figuratively. We've always had a basic top freezer refrigerator with no fancy water dispensers or panels or French doors, and we like it that way. Our house was originally built in 1942 and we want it to keep that feeling (except with insulation and nicer finishes.) But refrigerators have changed so much since our last Whirlpool purchase, and reading through all the different places Whirlpool is discussed I have to admit that, yes, I often did have things freeze and get ruined at the back wall and warm too quickly at the front, and hey, that's something that still goes on with new models. 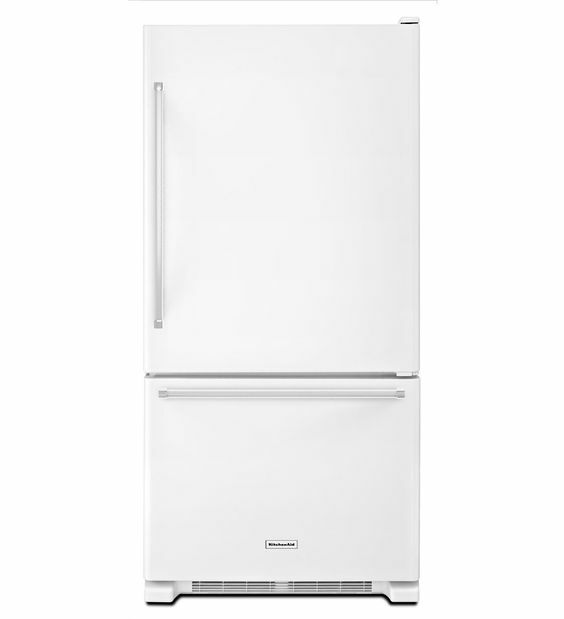 Plus, a basic Whirlpool top mount freezer isn't a $600 steal any more. They can go for $1200, which is a lot to spend on something that's going to freeze the fruit you pushed back too far. If I can't justify going with our old faithful, what can we go with?? I found out on Thursday that I am holding up the kitchen order, the framing completion, and I think even the floor height (which impacts the kitchen order and the electrical work), all because I don't know which fridge we want to buy. So I need to decide - today, ideally. Lynn was smart and shopped for appliances before she even thought about kitchen cabinets, and I wish I were more like her. You know, sensible and practical. All of that is why I am not knitting. I hope you're knitting. Maybe you can cast a few stitches for me, huh? Or at least have a nice peaceful moment or six in the midst of whatever else you're getting done today. Take care either way and I'll see you tomorrow, hopefully at peace once more with a trip to look at appliances decidedly in my past. Thank goodness the nearest department store has a big appliance section so I can open doors and look inside things! Mary, I had a refrigerator with the freezer on the bottom and oh my stinking heck, if I could talk my landlord into it, I'd have another one! Seriously, the one in the picture is almost identical to it, I was very happy at the space that was in the unit and the freezer on the bottom is so much easier to deal with. I always dreamed of a french door style, but I can no longer justify the expense or the need for that much cold storage. My kids are grown and it's just my Mom and my housemate and myself, we don't even need the standard size fridge, except at holiday times. I think you are making wise choices, I'm sure the "unveiling" of your home is going to be brilliant! I'm with you Marianne - I was at the store yesterday and found the freezer drawer front SUCH a pain to lean over to get into the storage bins, but then I opened the door of the top-freezer fridge beside the bottom-freezer model and it was like, who would buy this??? Leaning over into a brightly lit bin was suddenly very attractive... in just a year I've been so spoiled by having the fridge at eye and counter level, I can't face going back. I don't know why I resist progress but I'm so grateful I figured this one out before I spent all that money!